Exploring Southwest China, Guizhou Province and Guiyang. | This site is about the lives of foreigners and their friends in Southwest China. Long Li is located about four hours southeast of Guiyang in an area of Miao and Dong minority people. The walls around the city, the water system and the fortress are all intact. It doesn’t have the tourist pressure like some old cities closer to Guiyang. It is surrounded by the beautiful countryside of Jinping County. Jinping County has a new product called San Cha You, which is a cooking oil. The mountains of Jinping County are covered with these oil bearing plants. It is an incredibly beautiful sight. You can also directly drink the oil. It is still expensive, but has been shown to be very good for high blood pressure, cholesterol and sugar diabetes conditions. It has also been shown to raise immunity to some cancers.San Cha berry trees are in great supply. The locals have actively planted and cultivated these crops for many years. There is a new factory under construction and it is hoped that as production increases, that the price will come down and the product will be more widely known and distributed. Jin Ping County is also famous for blueberries. There are blueberry farms in many places with very attractive prices in season, around August of each year. Jumping right to the conclusion: whether you go in for a bad back or anything else, review your medical bills carefully before paying and make sure you ask for what you want from the moment you set the appointment . . . I spent a $100 or so more than expected to address my bad back. The customer service and administration reviewed my complaints and eventually satisfied me. I finally got the exercise tips I went in for, but a lesson was learned. I followed up my blood pressure issue in Chiangmai this trip (Jan 1- Jan 8) See: http://www.tourguizhou.com/bangkok-chiangmai-heart-center/. Since Thailand is known for it’s massages, I figured the Bankok Hospital therapists might know the best excercises to help my low back. I’ve had this condition (alignment problem in low back) for a good 35 or 40 years. Since Thailand is noted for both massages and kick boxing, this seemed like the place to go. I like massages and probably hurt myself with my Taikwondo kicks when I was young. Unfortunately time was short the day I visited. All I wanted was to get some pointers on exercises that I should and shouldn’t do, and perhaps have a physical therapy session showing me the best treatments. The doctor insisted that I get an Xray before giving me advice. This was beyond what I really wanted but he assured me that it would only cost between 25 and 50 USD. He also asked about whether I had a back brace. When I told him no, he said he would give me one. After the Xray he diagnosed my condition as spondylolithsis, a condition that I had already told him about. Since I was late for my bus back to the Hostel I was quickly given a brace by a tech and I paid my bill. It seemed high, but I didn’t really have time to review it. It was for both the visit to the heart specialist and the back issue. My back doctor made an appointment for me for the following day to see a “consult specialist”. After reviewing the billing I discovered that the heart specialist and blood pressure medication totalled about $26.80 and the back related expenses totalled $185.47 The back brace that the doctor said he would give me cost $53.57 and the Xray related services, which were quoted to me at between $25 and $50 cost $85.71. I didn’t appear for the appointment the following day out of fear of further charges. At that point I hadn’t received any physical therapy or advice of significance other than don’t do sit-ups and don’t bend the back. The doctor seemed pre-programmed: Consult, Xray, Diagnose, sell a back brace, refer to the next doctor. I reviewed the entire event with the hospital administrators and I eventually got the therapy advice I needed. It was complimentary. Also, the Xray and brace were helpful, so I can’t really complain about the value. I simply relearned something I should already know: just because somebody speaks English doesn’t mean they listen to English well, or even that they are listening. There is another point that came up as I talked to the administration and quality control boss. When coming into the hospital, it is important to be clear on what symptoms you have, how long you have had the symptoms, what prior treatment you have had, and what you want in way of treatment/results. Then, get an estimate of the costs. The Chinese hospitals I have been to seem to have a good system. They bring you in and you pay a nominal sum to talk to the doctor, and then decide what needs to be done. Then you go to the cashier to pay for the treatments in advance. With paid receipt in hand, you go and get your treatment. That’s a Chinese system. As a foreigner, if it is convenient, it is probably a good idea to sit down with some translation software and write out your issues and expectations prior to your visit. If not convenient, maybe the intake people can handle enough English to perform this function. One of the leaders in the hospital spoke really excellent English. It turns out he was in the US military and served both Bush presidents, two campaigns, in Iraq. After retiring from the US military, he worked a few years in a US hospital before returning to his native Thailand. I got really good service from him, not only at the hospital, but he defended my country as well. He even went back to his native land and saved Trump the trouble of deporting him. 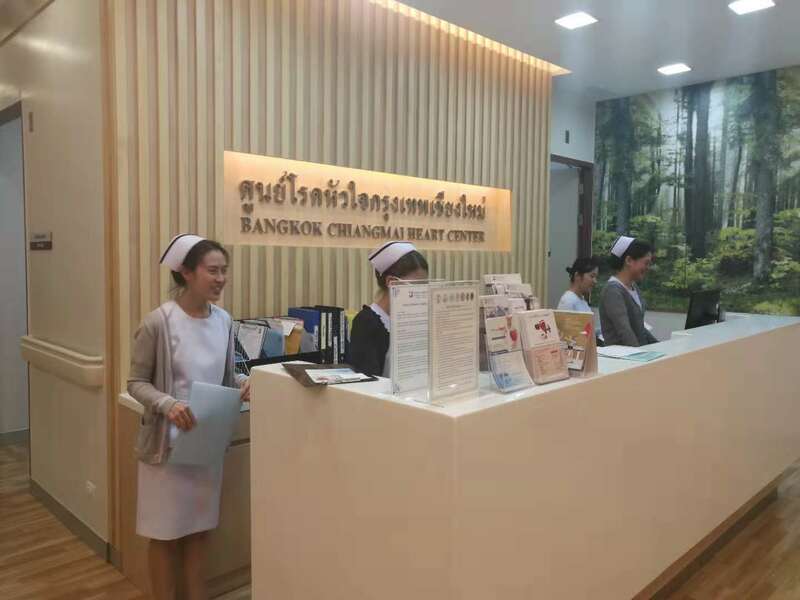 I can recommend the Bangkok Chiangmai Hospital for your health care needs. As noted above, you need to be clear from the outset what you expect and need, but the pricing is good and the people are competent and quite nice. I’ve had two trips to Chianmai and checked out the medical facilities there. Living in China I decided to have an escape plan if I have some major medical issue and can’t get back to the USA promptly. This visit I checked out the Bankok Chiangmai Heart Cener and its Hospital. I found an extremely modern situation with top doctors. Medical care is a significant concern in China and Thailand is known for advanced, Western trained doctors and hospitals. One of the top hospitals in Thailand is Bangkok Hospital. It has a branch in Ghiangmai, relatively close to Guiyang. I had swelling in my ankles and a couple doctors suggested that this might be related to a heart condition, leaky valves or something is possible. I forgot to mention it to my USA doctor until I was walking out the door this summer and he suggested maybe I should get a blood test to see if this heart condition might be present. Cutting to the conclusion, I am fine and my blood pressure medication has been modified to reduce or eliminate the swelling. I found the staff to be friendly and efficient. My doctor was the head of the department and gave me a complete examination. He explained everything to me about heart stuff. The reception area was not crowded and very pleasant. I left feeling that I had top service comparing with any in the USA. The price, including ten days medication was $38.02 on my Mastercard. We’ll see if that can be covered by my USA insurance, but I’m not worried about it. The hospital even has a free shuttle from the city center. Walk through door on right and shuttle is behind lobby. 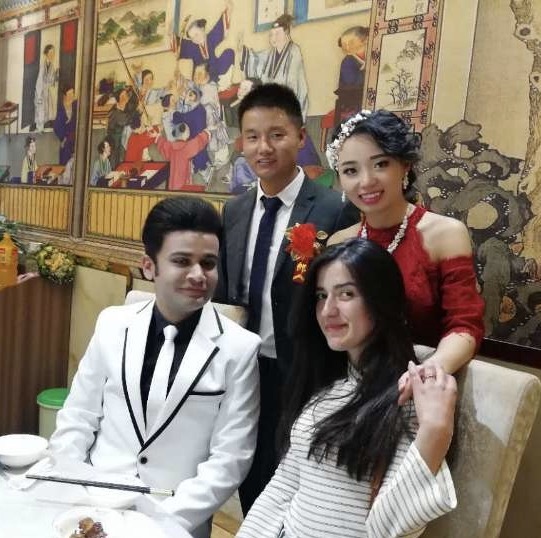 Syed Saalim Hashmi and Nargis with renowned Dermatologist from Guizhou People’s hospital Dr. Jeremiah and Dr. Lu Joao, a senior IVF expert from Department of Obs & Gynae during their wedding reception. Fifty years ago, it was very uncommon to find doctors married to other doctors. Why? To answer that question, we need to explore the sociology of the time. Fewer women went to college, which meant fewer female doctors. Many couples married early, right out of high school or right after college. If the wife had career aspirations herself, these were often put aside in order to help her husband get through medical school. Today, men and women often delay marriage until their late twenties or early thirties for a variety of reasons. For many, they want to achieve career success before adding the demands of family. Others simply don’t feel ready to settle down at 22 years old, the way their parents did. Given the rigor and all-consuming nature of medical school and residency, this is particularly true for doctors. As many more young doctors enter the final stages of their training still single, there is more opportunity to find the perfect mate among their colleagues. The epitome of office romance, flirtation between young residents or between nurses and doctors may seem like something straight out of an ER or Greys Anatomy script. But who would better understand the stress young residents face than another resident (or nurse)? Think about who you spend most of your time with and the social circles you find yourself in. Likely, you are mostly surrounded by other doctors and health professionals by necessity; there is not much time for outside pursuits, right? 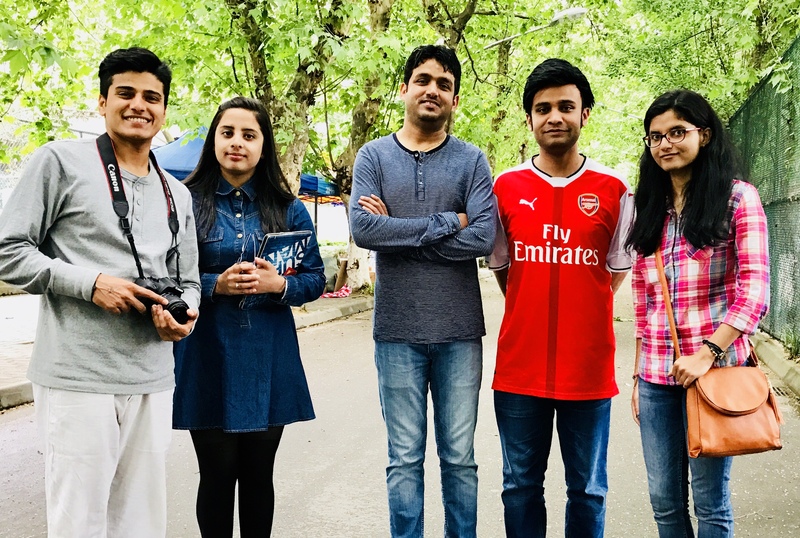 When young doctors spend 60 to 80 hours per week at the hospital, and the rest of their free time studying, the bonds that form among fellow residents and hospital staff become very important. According to the Kaiser Family Foundation, around 47 percent of medical school graduates in the United States are female, and in some states, that percentage creeps even closer to 50 percent. It is very likely for doctors to be attracted to and pursue a relationship with someone they spend a lot of time with. AMA Insurance reports in the 2014 Work/Life Profiles of Today’s U.S. Physician that 40 percent of doctors marry other doctors or health care professionals. There are several obvious benefits to the formation of romantic attachments between doctors and their peers or colleagues. Probably the most obvious is that another doctor or health professional knows what you are going through. They understand the stress, the guilt, the sleep deprivation, the grief, the fear. They also understand the passion for healing and the desire to care for others, and that the duty and responsibility often comes before self or the relationship. While this is not to say that someone outside the health profession can’t be supportive (remember, over 50 percent of doctors also marry outside the field, with often successful results), it can be very affirming to know you can cut loose without fear of being misunderstood. Communication between health professionals is often easier. The medical shorthand and complex jargon is sometimes difficult for people outside the health fields to understand. Since doctors live and breathe medicine 16 hours/day, it can be difficult to turn that off when you come home and frustrating to constantly explain terminology. On the other side of the examination table, it may also be difficult for a doctor or health professional to relate to career challenges and office politics a spouse may face in non-health-related careers, which can be frustrating for the spouse. For this reason, shared experiences, common language, and similar priorities of couples who both practice in the medical profession can be beneficial in developing strong marriages. While there are many benefits to choosing a partner from within the healthcare profession, there are certainly challenges. The practice of medicine tends to attract certain strong personality types. Medical schools train doctors to be decision makers, often in life-or-death situations. It’s very difficult to turn off that intellectual authoritarian persona when you arrive home. If you are also married to a doctor, then inevitable clash of who gets to be the decision maker could be epic. While marrying another doctor may benefit you in terms of easier communication and shared experience, you may both need to work hard to cultivate a different set of skills at home: compromise and humility. But what if your spouse or partner is not a doctor but another member of the health care profession (nurse, physical therapist, administrator, etc.)? Doctors and nurses (and other health care professionals) may share common experiences and communicate on a similar level, but they view their roles and contributions through different lenses. Neither is right or wrong, just different. Being able to view the world through your partner’s lens may not only help you be a better spouse, but may also give you insights that will help you be a better doctor. While extremely worthwhile, this task isn’t easy. Other challenges that may face couples in the health care professions revolve around work-life balance. This is true for many people in demanding careers, but few careers are as all-consuming as health care. It’s not only the work hours, but health care providers pour so much of themselves into their work — their passion, their devotion, even their emotions — that there is often little left at the end of the day for outside pursuits and for putting effort into relationships. If both partners are consumed in this way, it makes relationships all the more challenging. Exacerbating the emotional challenges are the logistical ones: competing work schedules, reliable child care, etc. Some couples even find it difficult to schedule time off or vacation time together, especially if they work in the same hospital. 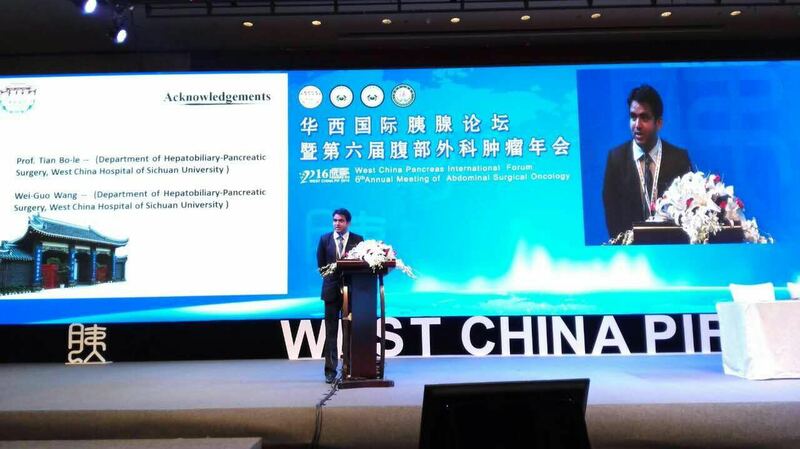 Meet Dr. Ram Babu Shah, a young hepato biliary pancreatic Surgeon from Nepal who’s residing in China since 18 years now! 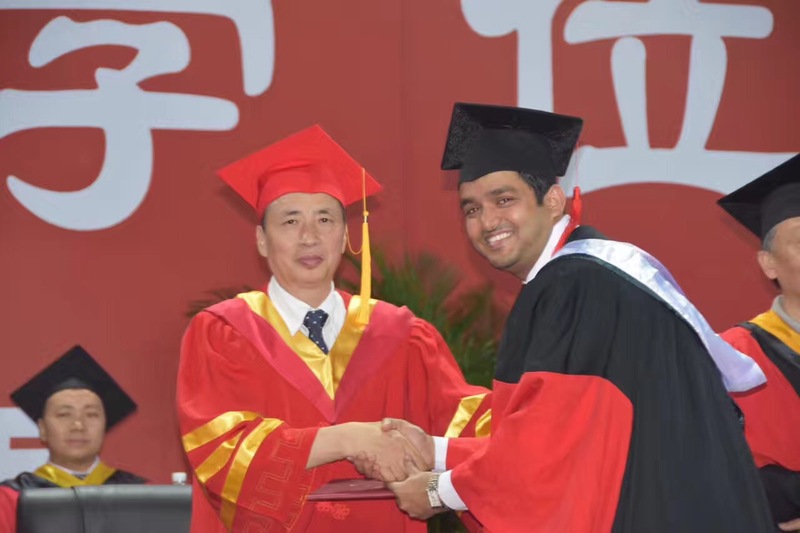 Dr. Ram came to the People’s Republic of China in 2001 as a bachelors student, now he is the first foreigner professor of medicine in the Guizhou Medical University. Born and raised in Nepal, He attended Sichuan Medical School and trained in surgery. 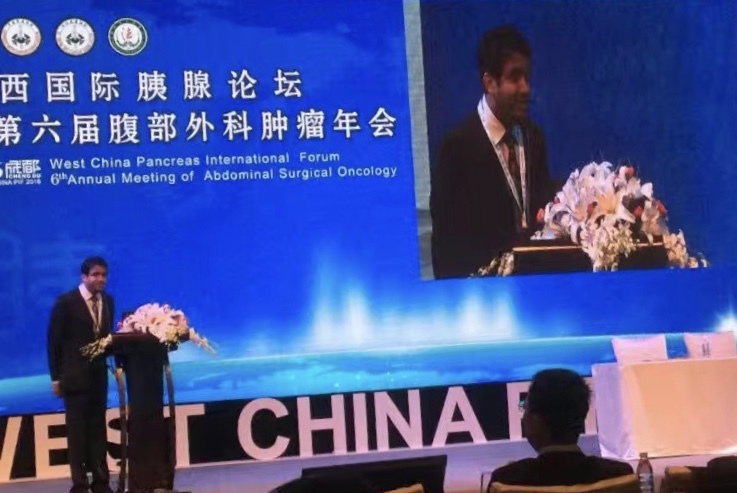 After obtaining his bachelors degree in medicine, masters in Surgery and a PHD, Dr Ram now looks forward to enhance the performance of his students in the operating room and train them to become outstanding surgeons.His clinical interests include pancreatic, liver diseases and hepatocellular cancer. 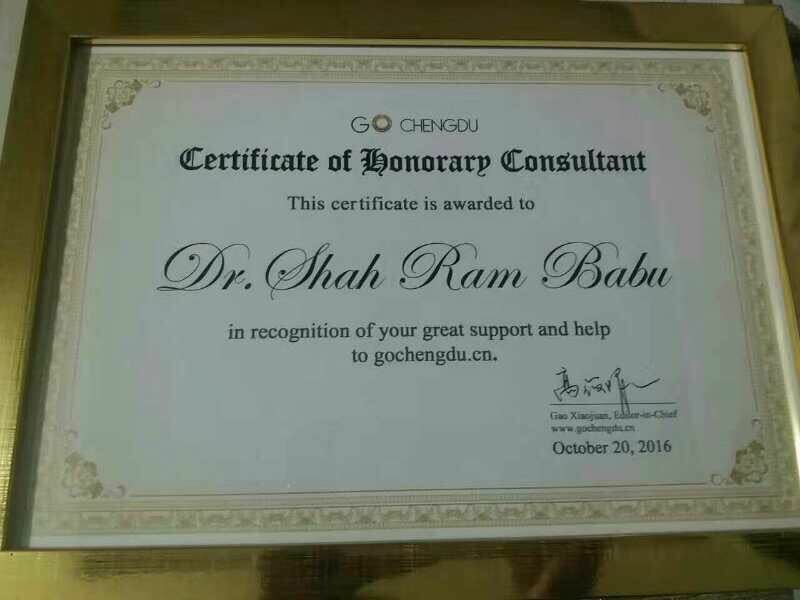 Dr. Ram Babu Shah was trained in West China Hospital, the second best hospital in China as per the rankings. He can fluently speak Mandarin, English, Nepalese and Hindi and has been a favourite of his students, colleagues and patients. A Chengdu TV program titled Looking West to Chengdu recently produced a special documentary about the life of Nepali doctors in Chengdu and was broadcasted on the news channel of ABC TV Nepal. Dr. Ram played a very important character in that documentary. Currently he’s living in Huaxi University town with his wife Dr. Sushila who’s also a senior doctor and his one year old son Mithil. I had my tooth pulled by a Chinese Dentist today. It’s a long painful process leading up to it (finding courage), but once decided, it happens fairly quickly. One the the great fears of an American in China is having dental work. More specifically, we are afraid of having a tooth pulled by a Chinese Dentist. The Guizhou Provincial Government has a medical college and a hospital connected to the college. It’s called the medical college hospital. have a friend that is a leader. I’ve had work done before, getting a root canal, filling a cavity, but the pulling of a tooth is another level.The dental clinic is on the sixth floor and the dental surgery is on the fifth floor. Even one of my language tapes had a reference, “Hope you don’t have to go to a dentist while you are in China.” So when I had a broken tooth I knew it had to come out. So my friend, Dr. Ma, introduces me to Dr. Tan, who is quite a nice young lady with good English. She confirms what I knew, that the tooth needs to come out. She answers all my questions, and she knows I was more than a little frightened. I asked her if it is difficult surgery, and she said that it was very easy. It’s the right upper front molar tooth, with the pain going up into my eye socket. It took real pain before I broke down to have the procedure. They gave me some antibiotics and the appointment was made for the next day. When we parted I asked her in my best Chinese if she would hold my hand during surgery. I had to tell her I was joking before she broke out laughing. So I went into the surgery section with a lot of confidence. The anesthetic was effective and it was actually more trouble than I expected. I’ve never had a tooth pulled, except the baby teeth that just fell out. I didn’t know what to expect. I don’t remember the name of the doctor that did the work, but she was quite small, maybe eighty or ninety pounds. She seemed to have a lot of trouble getting hold of the tooth and giving it some good yanks. The tooth was broken near the gum line. Just when I was thinking, “Oh God, I should have asked for a man.” She got the hammer out. We had a signal planned that I would raise my hand if I had pain. Holding the tooth with a tool and swinging the hammer made a loud clang, but no pain. The other Chinese dentist kept telling me to relax. The dentist hit the tooth several times, not just a couple. She was generating a lot of power. I thought she was holding a small sledge. I suspect that one of her feet was coming off the floor during the swings, maybe both feet. Still no pain. Finally, when she was done swinging, she went back in with the pliers and started tugging again. Then I felt some pain and I actually raised my hand. The second dentist said “Pain” in Chinese, a couple times, but the first Chinese dentist kept tugging. Two minutes later it was over. I got the tooth hole filled with cotton and there was little pain. It has been twelve hours since the surgery, and very little pain. The pain compares with a skinned knuckle. I am impressed. So there you have it. The surgery is a total success, and I am happy the dentist didn’t stop when I raised my hand. She was almost done and knew it. She just finished the job. That pain shooting toward the eye socket is gone, and baring complications, I would say everything is a success. When I finally looked around it turns out that the dentist had more help than needed. There must have been ten doctors and nurses watching! Foreigners are still uncommon in Guiyang, especially in a Guiyang oral surgery clinic. In retrospect, I had confidence in the place because of the root canal and crown that I had had previously. My dentist in the USA confirmed the procedure in China was the same as used in the USA. So it was a totally modern situation. To the uninitiated, it is surprising to see several dentist chairs and several doctors working together in the same room on different patients. In the USA, perhaps we are a bit spoiled with our medical privacy. Other than that, and the language barrier, things seem pretty standard on this side of the world. I have had low back trouble for many years, kind of a misaligned disk, which is usually livable, but acts up periodically. I went to a local massage a couple days ago and got a pretty good half hour massage that helped. It wasn’t enough. So today I went to the massage hospital, populated by blind doctors. China has a policy of training many of the blind in medical massage so they can find work. They know where the trouble is by touch. Today I got a nice lady named Su Ye. She was absolutely tiny, but what a grip. When I walked into the massage room there was a woman working on a woman that was laying down. She was pushing her around pretty good. I laid face down on the next bed and Dr. Su began work. She was talking to the other doctor and I was getting one hell of a massage. Both ladies were joking and I realized that I had more than two hands on me. I looked up and both doctors were massaging my legs and were joking about how strong (maybe how fat) I was. The lady that had been getting the prior massage was standing there watching me and saw me smile with I looked up and saw the second doctor. Everybody laughed. Anyway, I was amazed at the power that little Doctor Su has in her hands and elbows. She took care of the back, and the arthritic left wrist and I walked out of there feeling like I had been in a hell of a fight. Anyway, my back and wrist both feel really good now. If you have muscle pain or an injury, these people really seem to know what they are doing. I’ve been there several times and have never been disappointed. Some are better than others, and Doctor Su is exceptional. She told me that it is very difficult to massage a person so big that doesn’t speak the language well. This place is located across from the Hunter Plaza at Dongmen. It’s just below the Rooftop Cafe (see: http://www.tourguizhou.com/archives/10713 ) It’s on that little hill across from the City Mall (Zhiryue Jie). It is on the 4th floor and looks like a hospital from start to finish. No tea is served. The cost for the massage seems to vary from 60 to 68 RMB for a little less than an hour (about $10 USD). Enter elevator to 4th floor here. Turn left off elevator and another left. Register at window on left. Doctor Su and I. Dr. Su is standing (I’m not). The Affiliated Hospital of Guizhou Medical University (贵医附院、贵医，in Chinese characters; Guiyi fu yuan or Gui Yi in Mandarin pinyin), is the best grade III-A general hospitals in Guizhou province, which is located at the Beijing Road with the detail address as No. 28 Guiyi Street in Yunyan district of Guiyang. The hospital consists of 52 clinical departments, including the emergency department, the internal medicine department, the neurological department, the general surgery department, the Department of Stomatology (the dentists), the comprehensive intensive care unit and so on. There has been average1,740,000 outpatients per year around in the hospital, and discharged 68,000 patients per year. With the development, the hospital hold some advanced examining instruments such as CT, 3.0T MRI, PET. It is recently that the authority of the hospital built the system for making an appointment in advance with doctors online, which can be available on the following website http://www.gmcah.com. On the homepage, if you need make an appointment with doctors, you could see several button below the the name of the hospital, then dub the button as “就医导诊”（jiu yi dao zhen in Pinyin）, clicking the downward menu at the button as “预约挂号”(yu yue gua hao in Pinyin), then the appointment system is presented in front of you. One could use the system to make an appointment with the doctor who you need. If you don’t make the appointment with doctors, you could go to the outpatient department directly and ask the guiding nurses for helping. If there is something happening suddenly for first-aid, one could call the number “96999” to get a hand from the emergency department of the hospital. The Guizhou Provincial People’s Hospital(贵州省人民医院、省医in Chinese characters; Guizhou sheng ren min yi yuan or Sheng Yi in Pinyin ) is another grade III-A general hospital in Guiyang. This hospital locates at No.83 Zhongshan dong lu. If the first-aid will be needed around here, one could call the number as “0851-85922979”. The website for the hospital is http://www.5055.cn. If one live aroud Dusi Road (Dusi lu), he could find the No.1 People’s Hospital of Guiyang, which is one of the grade III-A general hospitals in Guiyang. The hospital also is the First-aid Center of Guiyang city with the first-aid call number as “120”. If one catches the TB (tuberculosis) unfortunately, he could get helping for diagnosis and treatment in the specialism hospital, named as Guiyang Fei Ke Yi Yuan (specialism for lung diseases, such as tuberculosis, specialism infection of lung). The hospital’s addresse is No.128 Northern Huaxi Avenue(Huaxi dadao beiduan), Nanming District, Guiyang. The No.5 People Hospital is specially for contagion or communicable disease, such as HIV infection, HBV or HCV infection and so on. There is also a special hospital for women and children, named as Guiyang Fuyou Baojian Yi Yuan (Women and children health care hospital in Guiyang), and located at No.63 Ruijin Nan lu, Nanming District. The above is the simplest introduction about the well-known hospitals in Guiyang. Hope useful for the foreigners living in Guiyang. When you unfortunately get sick, maybe you could get helping from these hospitals before you have to return to your home countries. Visitors are encouraged to provide additional health care information as comments in this site. I just confirmed with Ray that he has a one month visa, after confirming several housekeeping items with the Chinese Government Doctors and Immigration officials. He can live in his own apartment and will be checked next month for changes in his medical condition, at which time he should be elgible for another visa. It is hoped and expected that he will be able to work in a teaching position within a couple months.